This peek inside Topshop Soho last week was telling: the store looked nowhere near complete. How, we wondered, would they be ready to open by November? Turns out, they won't be. 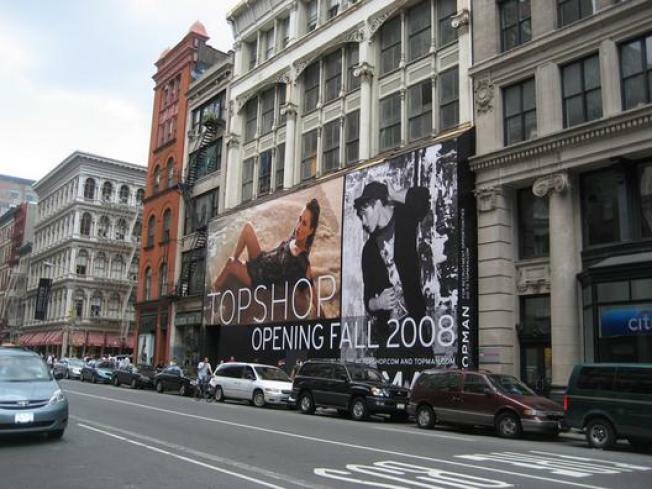 Sir Philip Green and Co. have moved the store's opening date yet again...to March 2009. 'This has been a logistical nightmare,' Green said to WWD, as he gave them a tour of his unfinished US flagship. The time it takes to get permits from the city is cited as one of the reasons for the massive delay; the building, at 478-486 Broadway, is landmarked. And though anyone could have predicted that the ambitious, 40,000-square-foot store would face some major hurdles, who thought they'd so wrongly guess how long it'd take to complete? March means missing those crucial holiday dollars; may we humbly suggest a Soho pop-up to tide the eager shopping crowds over?